Researchers for the Massachusetts Turnpike Authority found over 200 dead crows near greater Boston recently, and there was concern that they may have died from Avian Flu. A bird pathologist examined the remains of all the crows, and, to everyone’s relief, confirmed the problem was definitely NOT Avian Flu. The cause of death appeared to be vehicular impacts. However, during the detailed analysis it was noted that varying colors of paints appeared on the bird’s beaks and claws. By analyzing these paint residues, it was determined that 98% of the crows had been killed by impact with trucks, while only 2% were killed by an impact with a car. 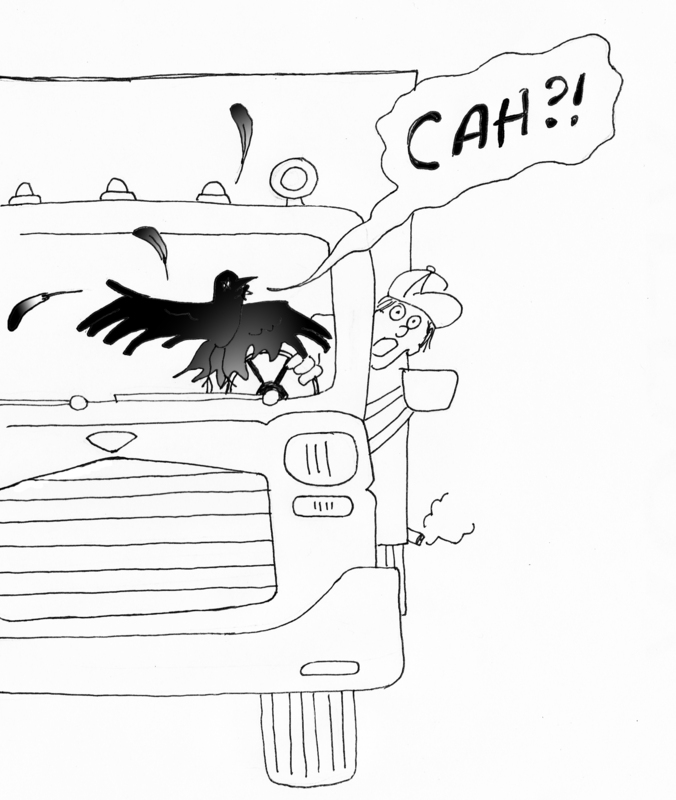 MTA then hired an ornithological behaviorist to determine if there was a cause for the disproportionate percentages of truck kills versus car kills. ~ by Random Handyman on August 26, 2013. Thanks! I thought that it was too funny (and cheesy) to not pass on!